Processing all done in CS5 together with a very liberal dose of Topaz denoise. 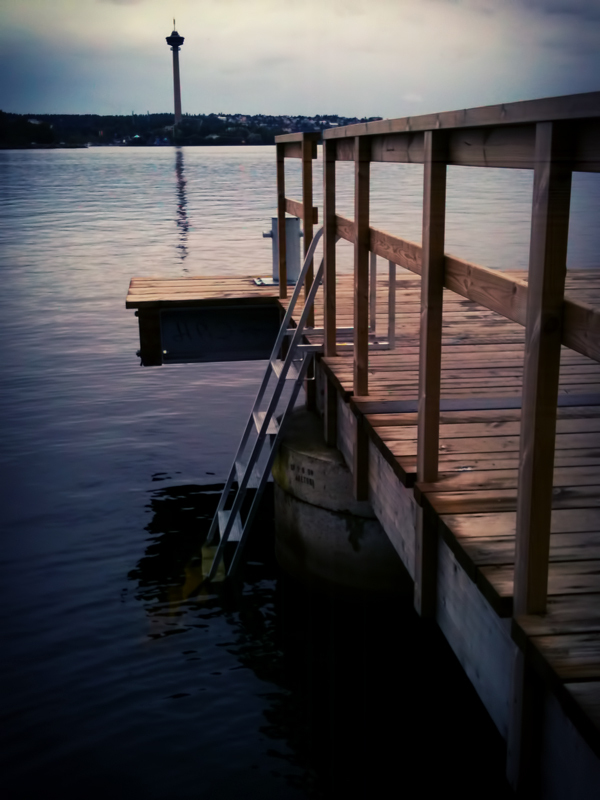 I love these soft colors and how the stairs disappear in to the water. Bodies of water are definitely one of my favourite subjects. This is very pretty, with the added hint of the unusual in the tower in the distance. Nicely put together. I like the calmness of this and the almost pastel colours. There is so much noise in these camera phone photos that denoising can be spotted almost immediately, as you'll see with some of my future examples. ;-) I usually go the opposite route and "shoot for noise", or try to find subjects that are amenable to a lot of noise and grain, or that would benefit from even more added noise. Proudly hosted by Sargasso Networks. Current Server Time: 04/18/2019 08:26:53 AM EDT.